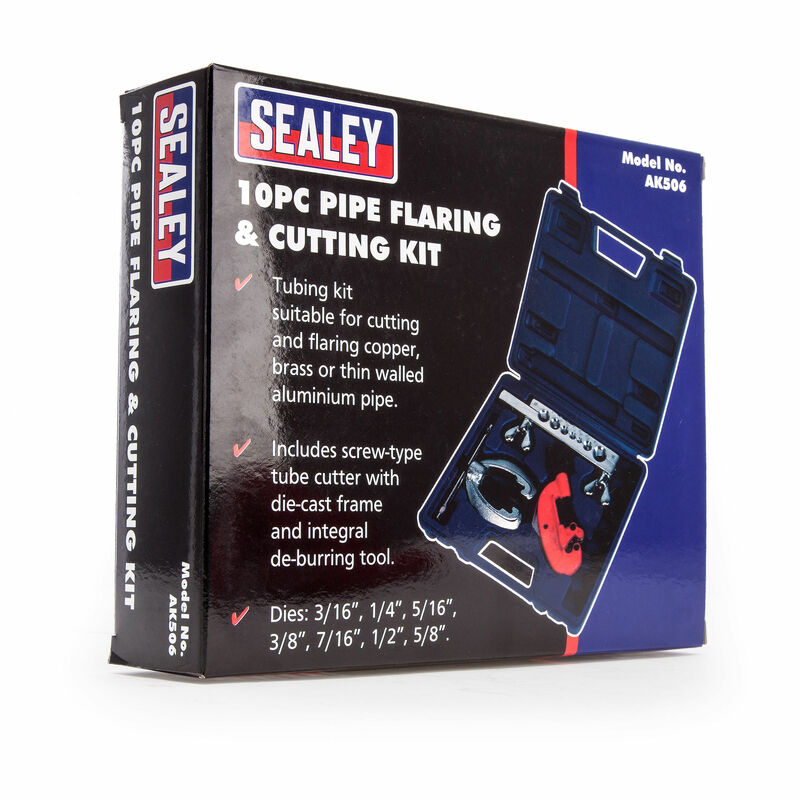 Dies: 3/16", 1/4", 5/16", 3/8", 7/16", 1/2", 5/8"
The Sealey AK506 Kit is designed to cut or flare brass, copper and thin walled aluminium piping. 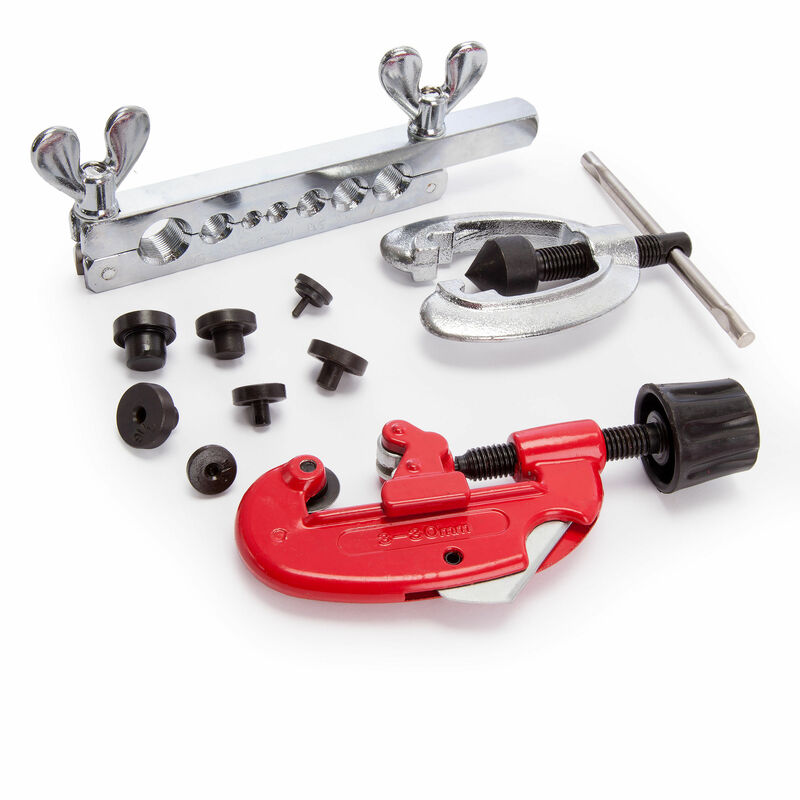 the kit incldes dies in sizes: 3/16", 1/4", 5/16", 3/8", 7/16", 1/2" and 5/8". Not suitable for steel pipe. 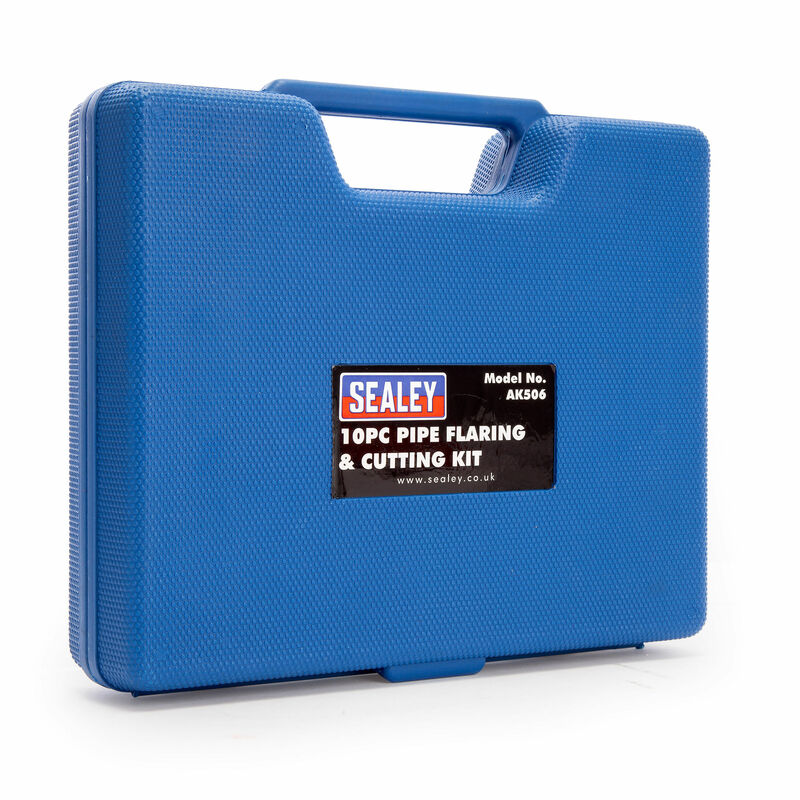 With over 34 years experience in the industry Sealey is a ideal choice of the professional. 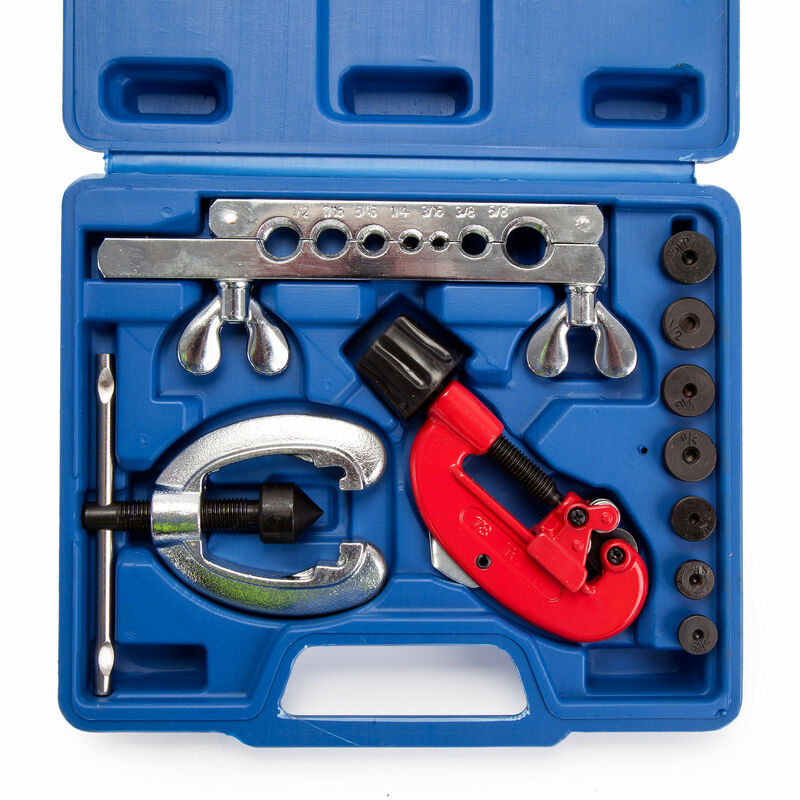 The range is so vast that it covers a wide range of markets and applications.